South Africa's President Cyril Ramaphosa takes his seat at the first closed session of the leaders of the BRICS summit meeting in Johannesburg, South Africa, July 26, 2018. The South African government will give indebted power utility Eskom 69 billion rand ($4.9 billion) over the next three years, Finance Minister Tito Mboweni said in his budget address on Feb. 20. The bailout is short of the 100 billion rand bailout requested by Eskom, which has debt of 420 billion rand, a legacy of years of mismanagement and corruption. 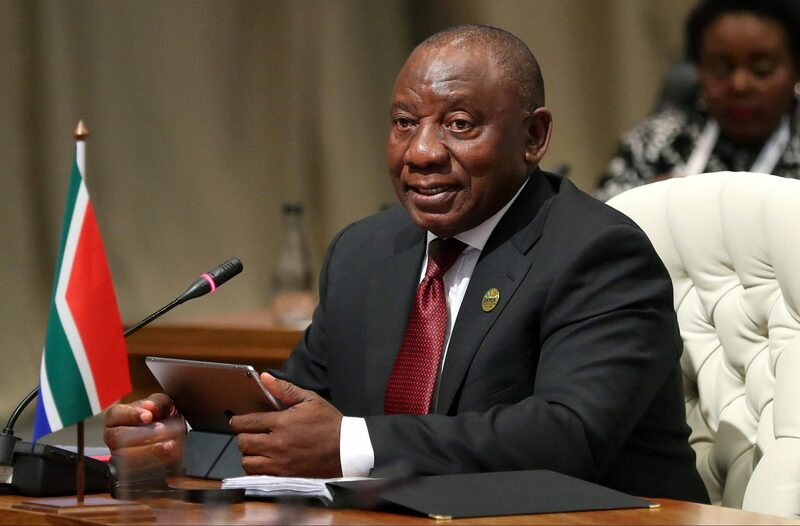 President Cyril Ramaphosa said on Feb. 7 Eskom would be split into three parts – generation, transmission and distribution – to improve its efficiency. Unions have opposed the restructuring. Eskom dollar bonds gained, with its 2023 and 2025 issues rising 1.415 cents to just over 99 cents in the dollar, their highest level in nearly two weeks.